This stylish business card holder is constructed of powder coated metal. It has a very eye-catching pattern which would compliment any home office or workplace. 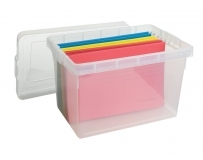 The collection offers a file tray, letter holder, memo cube holder, pencil cup, upright file tray or cd/storage bin. This stylish CD/Storage box is constructed of powder coated metal. It has a very eye-catching pattern which would compliment any home office or workplace. The collection offers a file tray, letter holder, memo cube holder, pencil cup, upright file tray or business card holder. This stylish file tray is constructed of powder coated metal. It has a very eye-catching pattern which would compliment any home office or workplace. The collection offers a CD/storage box, letter holder, memo cube holder, pencil cup, upright file tray or business card holder. This stylish letter holder is constructed of powder coated metal. It has a very eye-catching pattern which would compliment any home office or workplace. The collection offers a CD/storage box, file tray, memo cube holder, pencil cup, upright file tray or business card holder. This stylish memo cube holder is constructed of powder coated metal. It has a very eye-catching pattern which would compliment any home office or workplace. The collection offers a CD/storage box, file tray, letter holder, pencil cup, upright file tray or business card holder. This stylish pencil cup is constructed of powder coated metal. It has a very eye-catching pattern which would compliment any home office or workplace. The collection offers a CD/storage box, file tray, memo cube holder, letter holder, upright file tray or business card holder. This stylish upright file holder is constructed of powder coated metal. It has a very eye-catching pattern which would compliment any home office or workplace. 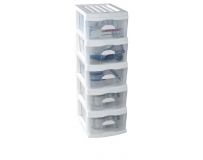 The collection offers a CD/storage box, file tray, memo cube holder, letter holder, pencil cup or business card holder. This stylish collection will keep your office or workplace looking tidy. Made with powder coated metal. This acrylic brochure holder can be used by wall mounting. It is a single A4 holder with a high back ideal for displaying brochures or leaflets. This acrylic brochure holder can be used either free standing on a counter or wall mounted. It is a single A4 holder with a high back ideal for displaying brochures or leaflets. 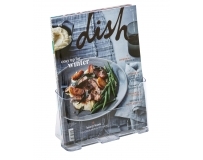 This acrylic brochure holder can be used either free standing on a counter or wall mounted. It is a single DLE holder with a high back ideal for displaying brochures or leaflets. 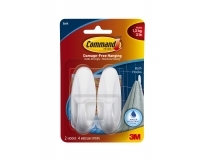 Command™ Clear Replacement Mounting Strips make it easy to move and rehang your Command™ Clear Products. They hold strongly on a variety of surfaces, including tile, wood, metal and painted surfaces. Yet they also remove cleanly - no holes, marks, sticky residue or stains. Also a great for replacement for double sided sticky tape. Command™ Picture Hanging Strips make decorating quick and easy. One click tells you Picture Hanging Strips are locked in and holding tight. Best of all when you're ready to take down or move your pictures they come off cleanly - no nail holes, cracked plaster or sticky residue. Command™ Poster Strips make decorating quick and easy. 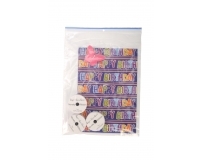 They're perfect for hanging schedules, posters, calendars and pictures without frames, or as an alternative to double-sided tape. They hold strongly to wood, tile, metal and painted surfaces, yet remove cleanly - leaving behind no holes, marks, sticky residue or stains. Command™ Replacement Mounting Strips make it easy to move and rehang your Command Products for cleaning, redecoration or re-organization. They hold strongly on a variety of surfaces, including tile, wood, metal and painted surfaces. Yet they also remove cleanly - no holes, marks, sticky residue or stains. Command™ Picture Hangers, Hooks and Clips make decorating quick and easy. Command™ Sawtooth Picture Hangers are designed for sawtooth, D-ring and keyhole hanging frames.